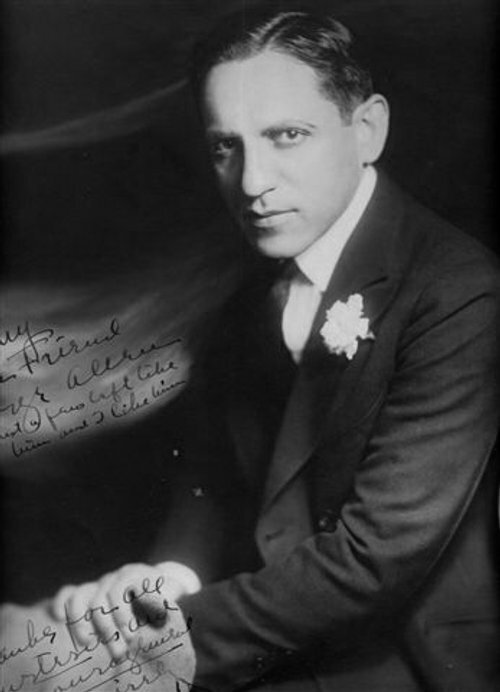 Known as “The Star Maker” for his discoveries of Groucho Marx, Walter Winchell, Eddie Cantor and George Jessel, songwriter and vaudeville legend Gus Edwards was born in Hohensalza, Prussia on August 18, 1879. When he was 7 years old, his family immigrated to New York and settled in the Williamsburg section of Brooklyn where they opened a family cigar store. 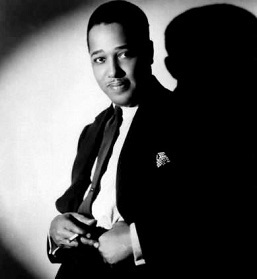 As a child, Edwards worked in the family store and attended public schools until he found work as a singer in various lodge halls, ferry boat lounges, saloons and athletic clubs. 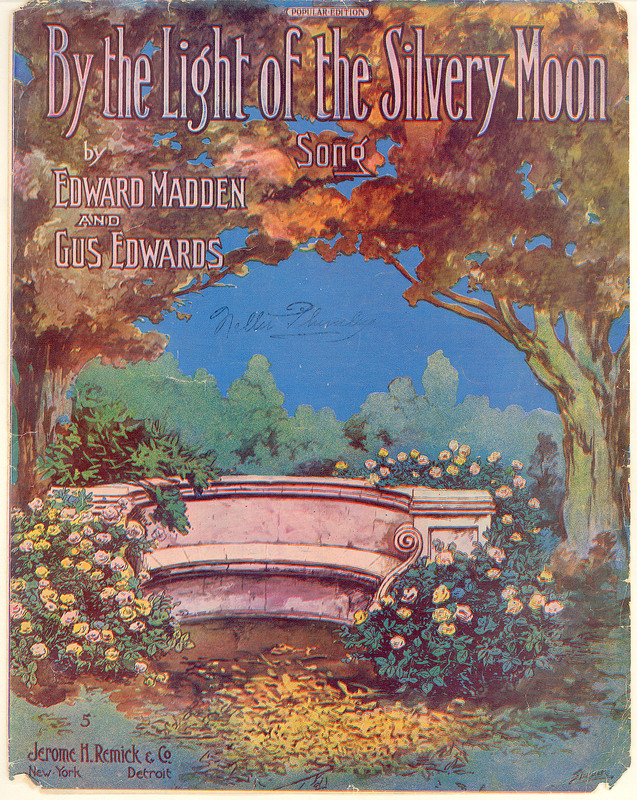 Eventually, Edward was hired as a song plugger at Koster and Bial’s and later at the Bowery Theater while concurrently performing in several variety shows. 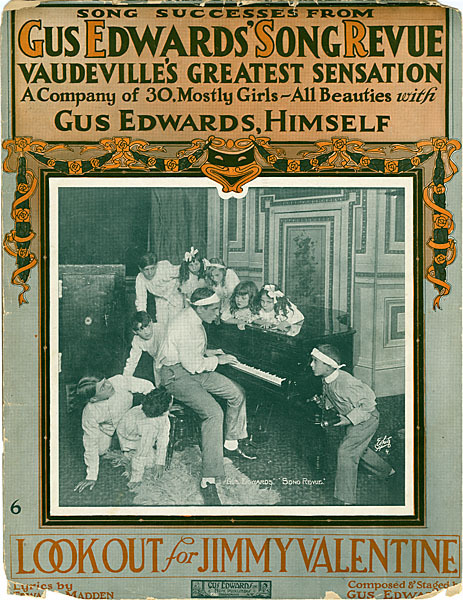 In 1905, Edwards formed his own publishing company in New York and began work on his own vaudeville revue entitled School Boys and Girls, which opened in 1907. The act was so successful that it ran for over twenty years. 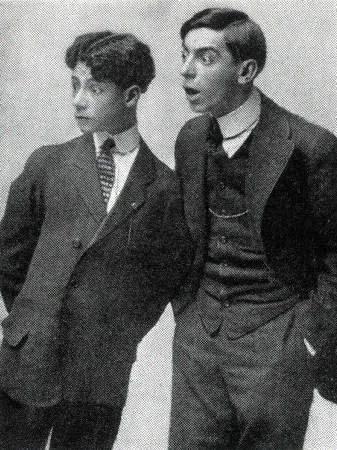 Edwards toured the country in search of new young talent to star in his revue. 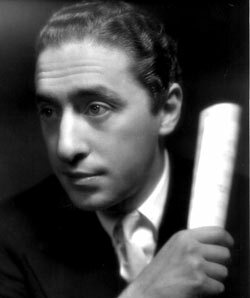 Some of Edwards’ discoveries included Groucho Marx, Eddie Cantor, Walter Winchell, Mae Murray, Elsie Janis, Sally Rand, Jack Pearl, Ray Bolger, Paul Haakon, Ina Ray Hutton[,] Lila Lee, Eddie Buzzell, George Jessel, the Duncan Sisters and George Price [better known as Georgie Price]. Edwards introduced so many stars that he became known as The Star Maker in the entertainment industry. 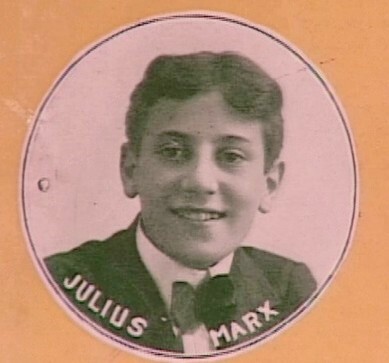 (above) In 1906, Julius (later known as Groucho) Marx recorded the song “Farewell Killarney” (m. Gus Edwards, w. Edward Madden) and two other songs from the show Gus Edwards’ Postal Telegraph Boys: “If a Girl Like You Loved a Boy Like Me,” and “I’ll Do Anything in the World for You,” both with words and music by Will Cobb & Gus Edwards. 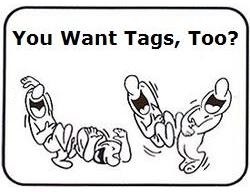 Over the years, Edwards gave his touring shows various titles, like “Kid Kabaret,” “Gus Edwards’ Song Revue,” “Gus Edwards’ New Song Revue,” “Kids in Candyland,”….The change of titles let the customers know it was a new act with new songs, but the same formula by and large. My father was Georgie Price. Glad to hear from you. Please feel free to come back and tell us some stories about your father, when the urge strikes you. 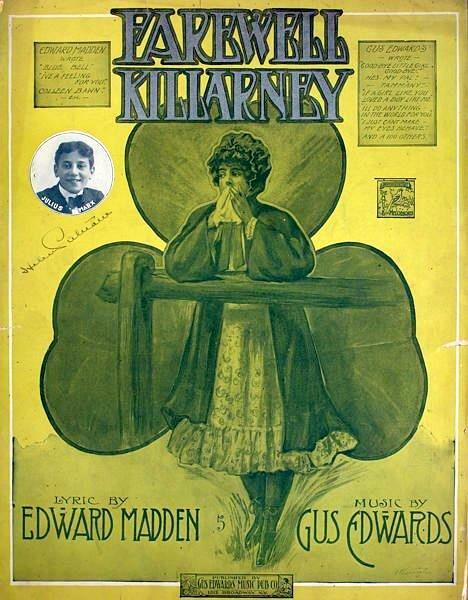 My Great Aunt was in one of his shows, Mary C. Willard. 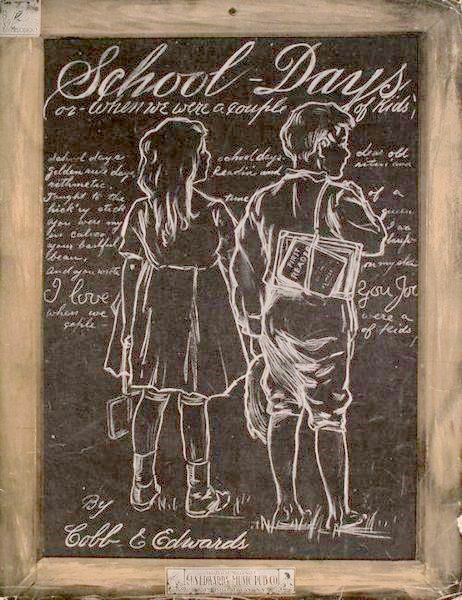 Looking for info on this. I haven’t found anything yet. Do you know which show she was in? My grandmother and her twin sister were signed with Gus Edwards before Florence Ziegfeld signed them to the Follies in 1922. They were Velma and Thelma Connor … The Connor Twins. They were singers. I have a newspaper article of them with Mr Edwards at the time they were touring with the Revue. She shared many stories with us over the years! Thanks for sharing that information. 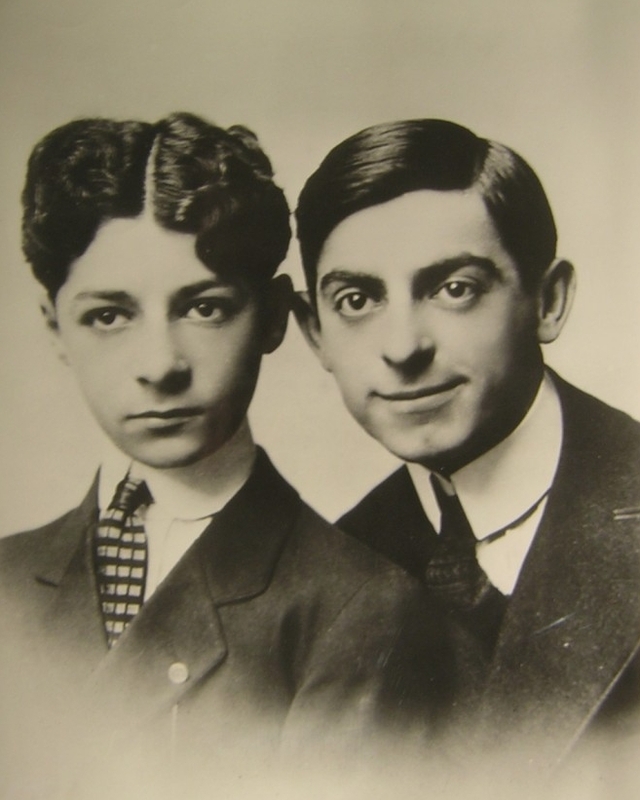 I’ve found some nice photos of The Connor Twins, primarily from the early 1920s, and passages on them in several different books. Which newspaper is the article that you refer to in? I’d like to read it.